Home made rajasthani delicacies prepared for an old customer of Chennai uniforms..
One of an old customer of http://www.chennaiuniforms.com wished to taste the home made rajasthani delicacies. 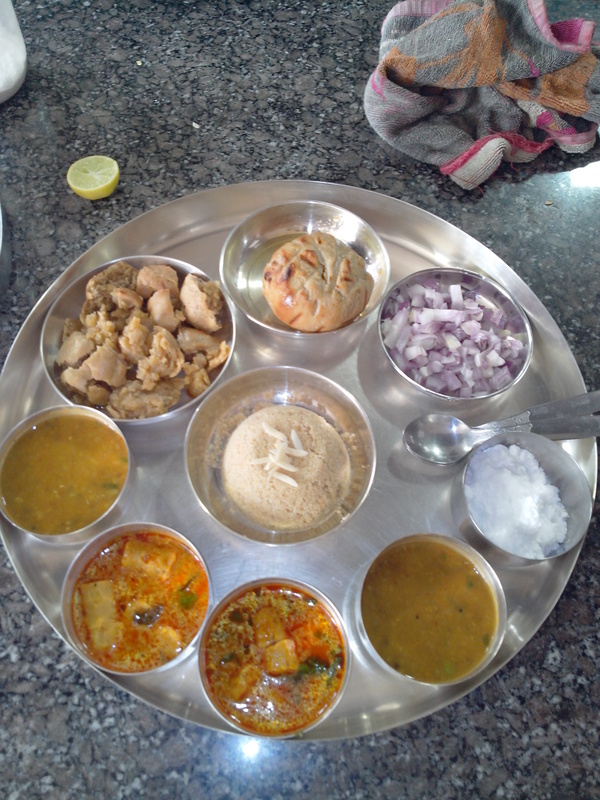 We invited the customer during ganesh chaturthi and served him the best of rajasthani food that included daal,baati, a sweet dish called churma,gatte ki sabzi made out of besan and 10 other differnet varieties of typical rajasthani food…he loved the food and was startled to see the amount of ghee used in making the dishes. A happy customer can just make any day brighter ..isn’t it ?